Anything that’s deep fried can never be a bad thing….. Well at least not in my books. Light brown puffed up crisp deep fried puris, just hot off the oil are a thing of beauty. Bengalis serve a delicious Indian bread ‘luchis’ similiar to a puri but the flour base used differs making the texture of the bread slightly different as well. The other deep fried delights that must be sampled in the Indian repertoire include bhaturas, parathas and kachoris. The list is endless and each of these equally lip smacking. 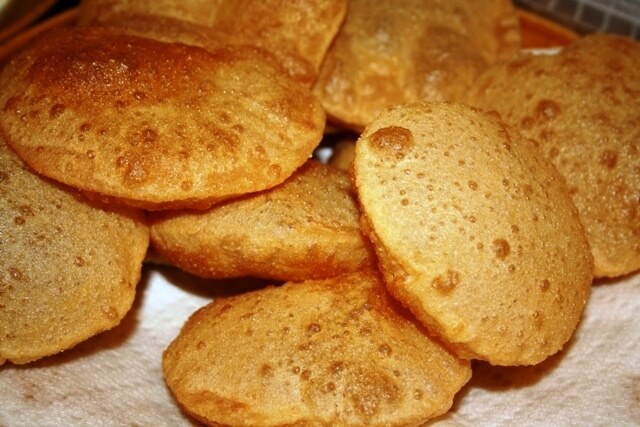 I have eaten most of them and some of my best memories include scoffing little puris for breakfast; using it almost like a spoon to scoop up curries and some side veg. My family cook them during celebrations & auspicious occasions something I know a lot of people do. Cooked in batches and very large quantities; puris are usually smaller in size as compared to chapattis or naans and it’s because they are tiny that they get polished off quicker than you think! The most commonly known Indian bread in the UK is usually naan made with plain flour. Everyday bread in Indian households is more often than not made with wholemeal flour and for this recipe I have used wholemeal flour as well which is usually available in all Asian stores. You can swap this for plain flour if you like too. You could even add a few tablespoons of milk to the dough which makes for softer dough mix & lighter fluffier puris. 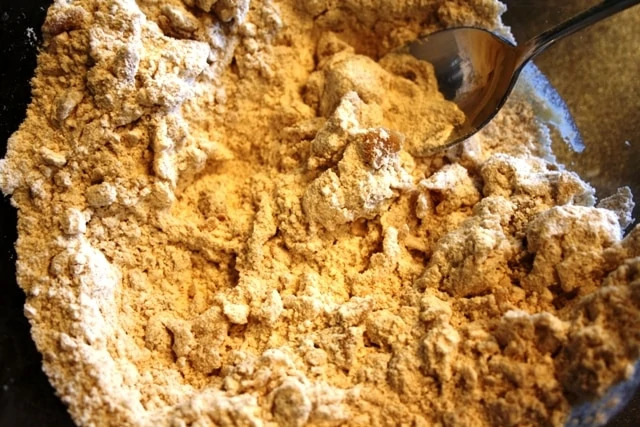 Add the sifted flour, salt and vegetable oil in a bowl. Roughly mix with a spoon. Now gradually mix in the water a little at a time to help bring the dough together. Using your fingers knead the dough into a ball until smooth and pliable. Cover with cling film and rest it for 15 minutes or so. Knead the dough once again and divide into equal balls (you should get about 15-17 portions). Flatten the ball and rub with a little oil; roll out into a 8cm disc. Heat oil in a kadhai or wok for deep frying. Deep fry the puri in the oil. At this stage it will sink into the oil gradually rising to the surface. Using a slotted spoon press lightly until it puffs up and then turn it over and cooking for 2-3 seconds. Lift the puri out and drain on kitchen paper whilst you make the rest. 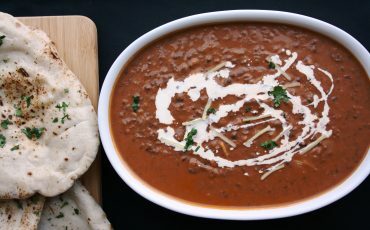 Serve them warm with some potato curry or a curry of your choice. 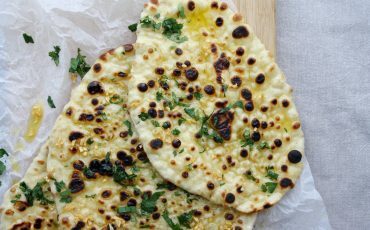 These are my favourite indian breads, I always make them for parties and everyone loves them.